As used on rack mounted power boards. 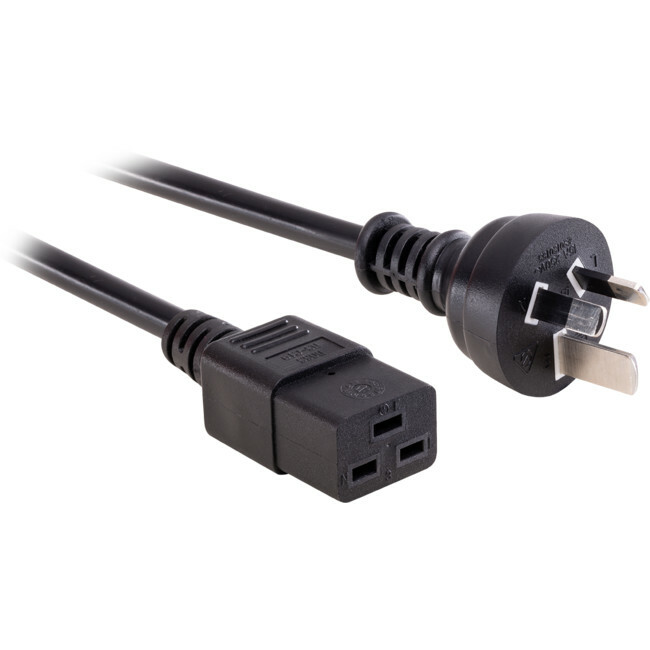 Fitted with a female IEC-C19 connector and an Australian 15 Amp 3-pin mains plug with insulated pins compliant with AS/NZS3112. Available in 1M(K19-1MB15A),2M(K19-2MB15A), 3M(K19-3MB15A) and 5M(K19-5MB15A) lengths.